A Survival Knife is probably the single most important tool in your survival gear. You can do a LOT to survive in the wilderness with nothing but a good knife. That said, here are 7 things you should consider when choosing a survival knife. The Tang of a knife is the portion of the blade that extends down into the handle. The Tang and the blade are one solid piece of steel. A Full Tang, or tang that goes all the way to the base of the handle, is considered the best for a quality survival knife. The full tang gives the entire knife strength. On cheaper knives the blade is only connected to the top of the handle and can break off. The handle on survival knives varies widely. Some are hard rubber, others polymer. Many are good and it is probably easiest to remember what you should avoid; Any knife that has a hollow handle for “storing things.” While this sounds neat at first there are a couple of good reasons to avoid knives like this. If it has a hollow handle the knife certainly doesn’t have a full tang, which we mentioned earlier was important. If you are storing matches in your knife handle, and you lose the knife guess what else is gone…? Another thing to avoid that is popular among novelty survival knives is a compass in the handle. Again, seems like a cool feature, but it could mess up your grip on the knife. Is it really worth having a 25 cent compass in the handle of one of your most important tools when there is a chance it will make the knife hard to work with or even injure you? In a survival situation that is unacceptable. Survival Knives generally come in two types of steel: Stainless or Carbon. Which is better is a huge debate and I won’t recommend which one you should choose but here are the main differences. Stainless Steel is…well it’s stainless steel. Virtually indestructible, can take a beating and last a long time without rusting. 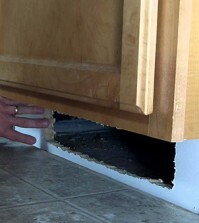 However many people say stainless blades lose an edge faster than carbon. Carbon Steel knives are usually known to hold a good edge longer than stainless steel, but will rust faster in the elements. Again this one comes down to a debate over which is better; straight blade or serrated. A straight blade knife will work better for chopping wood and is much easier to sharpen. A good smooth stone can even be used to sharpen a straight blade if you are without a whetstone, whereas a serrated edge almost always takes a special sharpener. Most Survival Knives fall within the range of 6 to 12 inches. Any less and it might not be big enough to do the things you will have to get done in a survival situation, like chopping wood. Sure, it would work a lot better with a hatchet or saw, but if you Bug Out, you might not have anything else. However, start getting much bigger than 9 to 10 inches and you start getting Rambo syndrome. This is the point where the knife is getting too big to handle and carry effectively and might be more of hindrance than a tool. This is a harder one for those of us who are not knife experts. A good general rule is about 3/16 -4/16 of an inch thickness is the best for survival knives. A knife of that thickness will be extremely solid and and able withstand the abuse of wood chopping and prying. You do not want a survival knife that has a lot of flex in the blade. Lower Attachment – Some type of hole or attachment piece at the tip end of the sheath used for strapping the knife to your leg when on the belt, or onto a backpack strap. 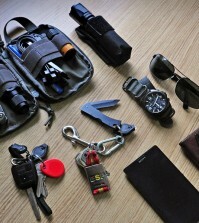 Belt and Lanyard Attachment: Does the sheath come with a belt loop? Does the knife handle itself have a hole for a lanyard? Strap: How does the sheath close around the knife? A crossover strap right where the handle meets the sheath is best. Sheath’s with the strap at the base of the handle can allow the knife to slide out. 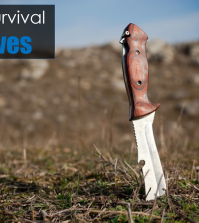 Keep These 7 Things in mind when you buy your next survival knife.